Some news from LinuxWorld, which is taking place in San Francisco. When Larry Lessig began by calling open source to arms, the tone for the meeting was set as a defining event for the community. One of the goals of open source developers has been to produce a user-friendly Linux desktop that can be used by the non-techie public, which has not been achieved in the past. Every year we read articles promising that this is going to be the year of the Linux server, but the promise continues to prove elusive. While Linux distributions like SuSE and Ubuntu are advancing as excellent desktop solutions, but they are not ready for mass consumption. When non-technically inclined people ask me about whether I think Linux they should switch to Linux, my advice is generally that they should still wait. In my own experience installing Linux takes a long time, and getting everything running when you are not a developer can be frustrating, particularly if you are not familiar with command prompts, installation and compilations. 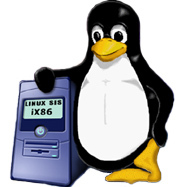 Although latest versions are much better, I think that Linux is still not ready for the mainstream. It seems like people at LinuxWorld agree. A panel of top open source names included some comments with regards to Linux usability. Eric Raymond commented that younger users are concerned about games and multimedia (yes, people do like graphic user interfaces, it’s not the 80’s anymore). According to Raymond, the top question he gets from people under thirty is “will it work with my iPod?” Raymond claims that there is a golden window of opportunity for Linux before Windows Vista hits the market, and Windows users will be looking for alternatives to buying and installing the DRM-laden monstrosity. I’m going to try to run my iPod with the new SuSE installation. I just hope that my music survives. Who know? Migration may be closer than I thought.